Last year (still getting used to saying that) I wrote a post about the collaboration between Mark McNairy and Bass Weejuns and both sides history in the game. Now with Christmas and New Year behind us we see another release from this collaborative process in the form of another deck shoe, but with a more rugged looking approach. 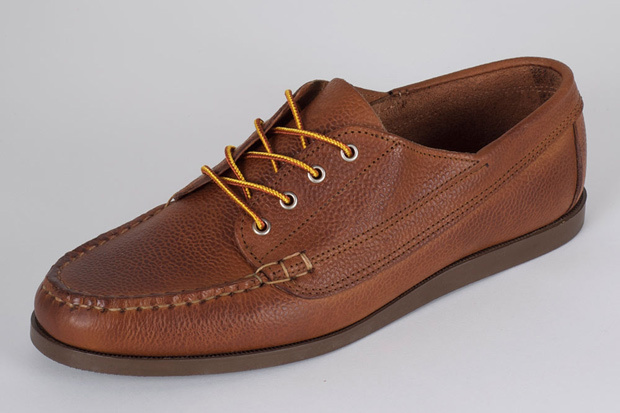 Doing away with the usual deck shoe lacing system and using scotch grain leather throughout, these have a completely different look to your usual ‘boat shoe’ whilst still retaining the timeless shape. 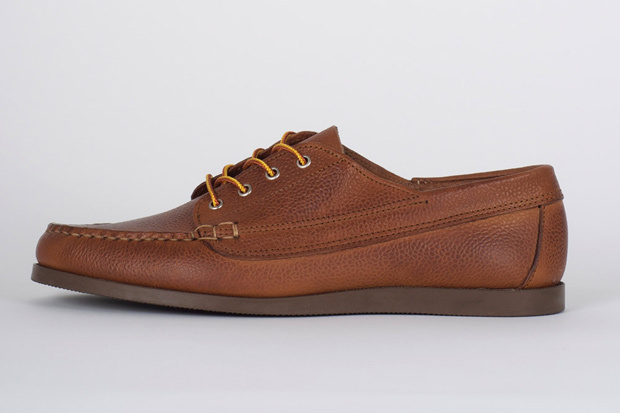 I really like the 8 eyelet lacing, although rarely seen on this type of shoe they seem somewhat more like a classic in their own right. 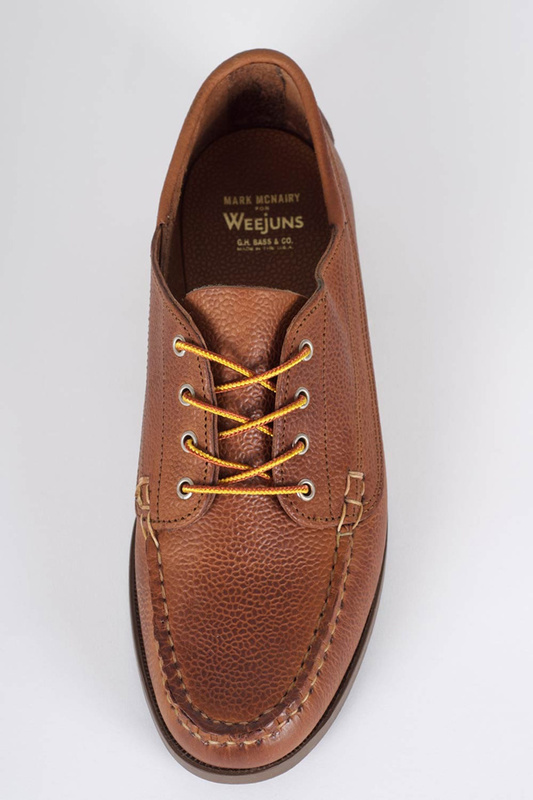 As always with Bass Weejuns the stitching is second to none and they literally ooze quality craftsmanship. When I last checked, numbers were selling out fast so you better act quick if you want them. Available now in-store and online from Number Six for £195.